Looking to buy Kosher Food in Beijing? At the Bet Yaakov Chabad House we have a small Kosher shop that has chicken, bread, dry goods and snacks. 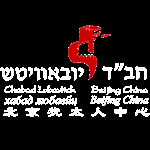 There are also a few chains of western style stores in Beijing that sell a variety of kosher products. These products are imported from different countries such as the USA, Europe and Australia. Some products bear Kashrut symbols while others can be found listed in the kashrut guides available from the country the product was produced in. Some of the kosher symbols available are: OU, OK, STAR K, Kof-K, COR, KSA, CRC. There are a few located around the city.